Today we have Emma from Lineage: A Beginning by C H Clepitt. Emma, how old are you? Do you have any family? If so, what’s your family like? I’ve recently discovered I do ‘ave a family. Only just met me nan, she’s a bit terrifying, actually. For years it was just me an’ Kev, so it’s taking some getting used to, as it goes. How’s your relationship with your parents? Do you love them? Hate them? How have they influenced you? Today we have the berserk warrior Tarn from Heroes Never Fade by Rick Haynes. So, Tarn, tell me, how old are you? About thirty, but I feel older, as would you, if you had seen the carnage of war that I have. Tarn’s eyes cloud over. Yes, my wife Tasmina and my beautiful daughter, Lori. My father is alive, but he isn’t around too often, unless there’s a battle to win and he gets paid to join in. Today we have Badger here with us from I Wore Heels to the Apocalypse by C H Clepitt. I don’t often interview characters like Badger, but it’s always fun when I do! So, Badger, how old are you? No idea! Badgers don’t celebrate birthdays. I am a spirit guide, so I guess my charge is my family. If I’m honest she’s a bit of a challenge. Not very clever, deals with stress by kissing random people and drinking too much. I’ve got my work cut out. Author Lucinda Moebius and her New Book! The author of The Collision of Fire and Ice , Susan Elliott, is here with us today. Tell us about yourself and what inspired you to start writing. I am a native Texan, finally living in my home state. I began writing at nine years old. My mom lit the fire inside me, and my husband encouraged it to grow. I love telling stories that I want to read, and creating characters that I love. How did you go about getting published? I am completely Indie published. I debated on going the traditional route, but so many of my author friends were leaving traditional publishers for Indie publishing. I felt like it was a better fit for me. I love it! The author of Perilous Paths, Tomas Liedman, is here with us today. Tell us about yourself and what inspired you to start writing. 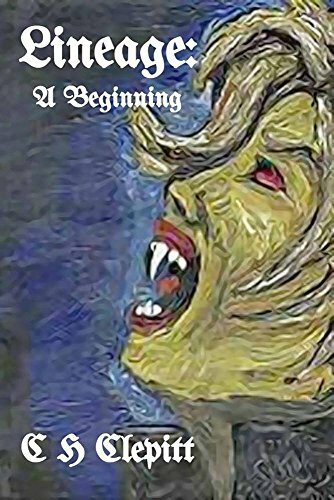 I have always enjoyed writing but it was not until my late teens that I started writing short stories for friends who eventually managed to persuade me to write a full novel. I was inspired to this particular novel was inspired by a combination of three different factors. The first was a several years long discussion about the nature of evil and how it was normally petty, narrow-minded and in the long run always on the losing side. The second was a series of books regarding drow elves where i felt that the society did not make sense fully and a desire to try to explore a dark elven society in greater detail. The last factor was feedback from a publishing house that recommended my to write a shorter novel than the 160k one I had submitted to them. The author of The Beta-Earth Chronicles, Wesley Britton, is here with us today. Tell us about yourself and what inspired you to start writing. I’ve been writing non-fiction, poetry, and sci fi for a very long time now–since 1983. A writer must write, and so I do. Fiction allows me to have free reign with my imagination, so that’s where I’m at now. For non-fiction, I kept submitting to publishers who dealt with sort of thing. For fiction, I went to the publisher of my last non-fiction book who believed in me so we’re still together. I must say, you’re illustrated cover is a bit refreshing compared to the covers that we are all partial to nowadays. So, tell us about yourself and what inspired you to start writing. The author of Before the Luck Runs Out, TJ Muir, is here with us today. Before we get going, happen to have a cover and blurb for Before the Luck Runs Out image for us? Cold and hungry, he nicks the coin purse of the wrong man. Karrahk is, one of the city’s powerful rulers. The man looks into Jedda’s bright green eyes and sees the tawny-skin that betrays waif the hidden heritage. He makes a decision that will change a hungry boy’s life forever.